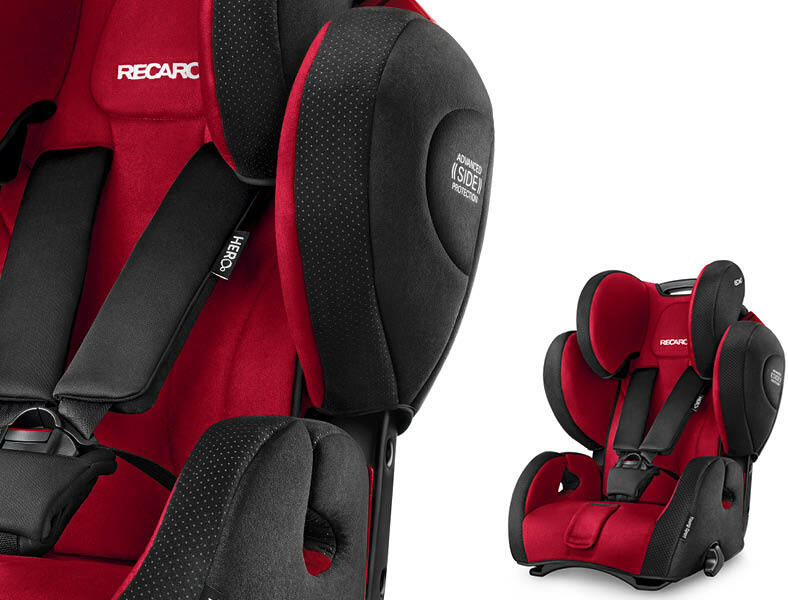 RECARO Child Safety has recently launched their new group 1,2,3 seat, the Young Sport HERO. 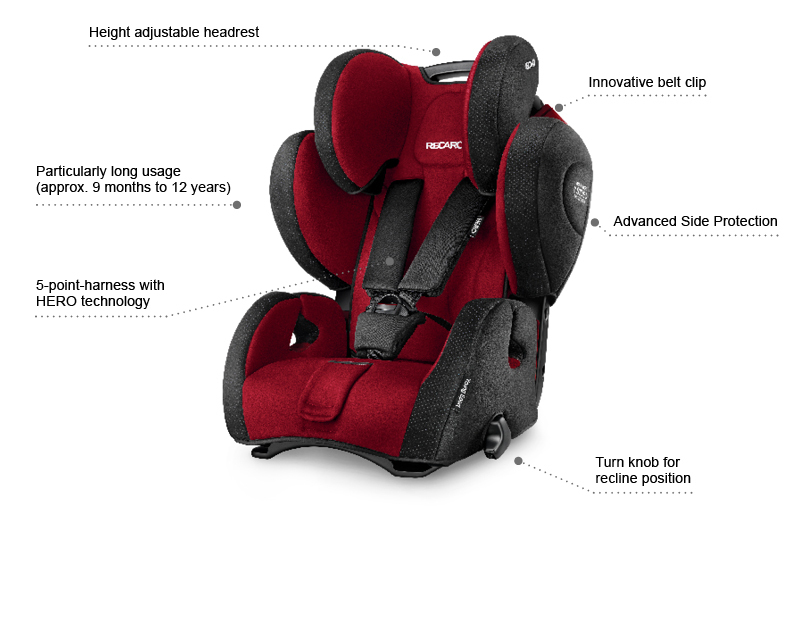 The Young Sport HERO is a revised version of the hugely popular Young Sport child seat, ensuring that the most advanced and up to date safety features are incorporated. The innovative HERO safety system, is one unit made up of the shoulder pads, belts and inner headrest. The system provides optimum safety and comfort for the head, neck and shoulders whilst preventing the belt system from twisting and slipping. Furthermore, the soft belt covers help to prevent any skin irritation. The Advanced Side Protection has been developed with large energy absorbers which reduce forces in the event of a side impact collision and protective foam is in place in the hip, shoulder and head areas. The Young Sport HERO is a multi-stage seat, suitable from 9kg up to 36kg (approximately 9 months to 12 years old) and therefore offers longevity for use. The five point harness is for use during the group 1 stage and the vehicle’s three point belt is later used in the group 2-3 stages for securing the child in the seat. Comfort is provided on all journeys with ergonomic seating foam as well as breathable fabrics which ensure good air circulation. There is a recline function which can be easily adjusted and an insert cushion to support smaller children. The covers are machine washable and come in a choice of eight colours: Black, Graphite, Shadow, Ruby, Saphir, Pink, Violet and Mocca. For your chance to win visit us at www.facebook.com/lovedbyparents give us the thumbs up, show your friends and write the word ‘Hero’ in the comment box below. Competition closes at midnight on the 18th June 2015. Colour choice is at Recaros discretion.